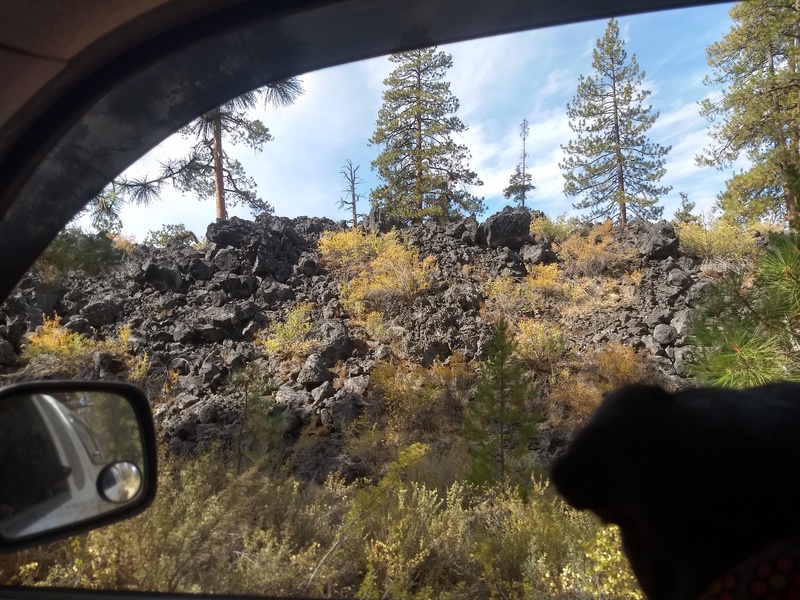 When we decided to stay in the area and explore as many of the attractions the Newberry National Volcanic Monument has to offer we needed to find a free camping spot in the Deschutes National Forest. 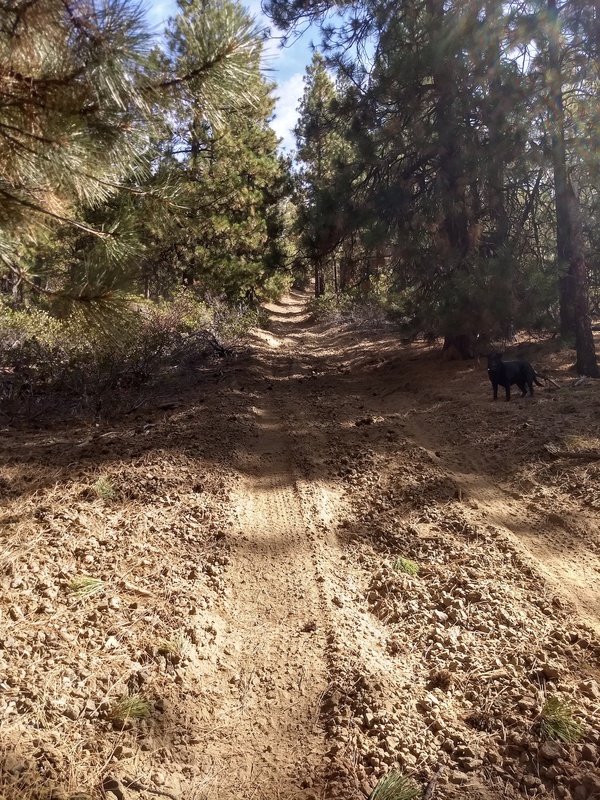 Since we’ve been hanging out with a friend who travels in a “Skoolie” (converted school bus) with minimal ground clearance we have to rein in our usual habit of taking difficult “roads” and finding camping spots that 1 or 2-wheel drive vehicles just cannot get to. 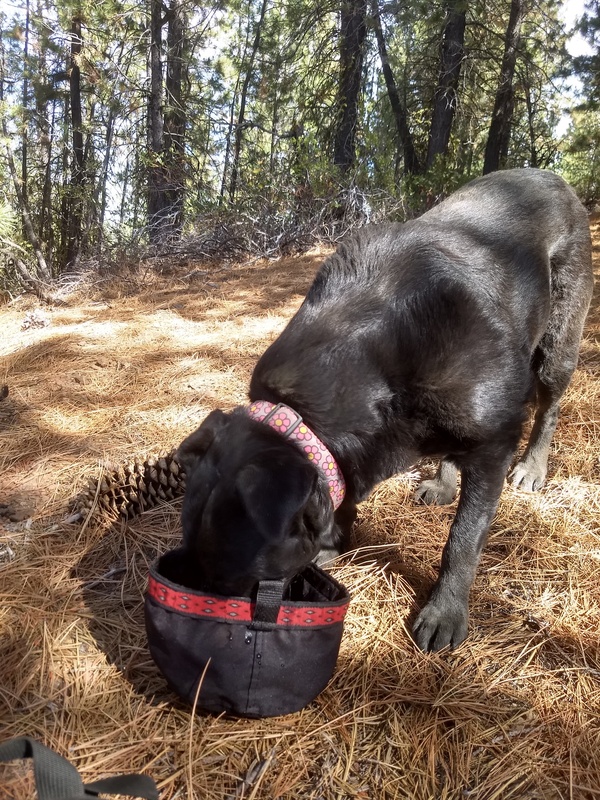 The other criteria we needed to meet was finding an open area that was not too heavily forested so we could both use our solar panels to keep our batteries charged up…not the easiest thing when in the middle of a National Forest. 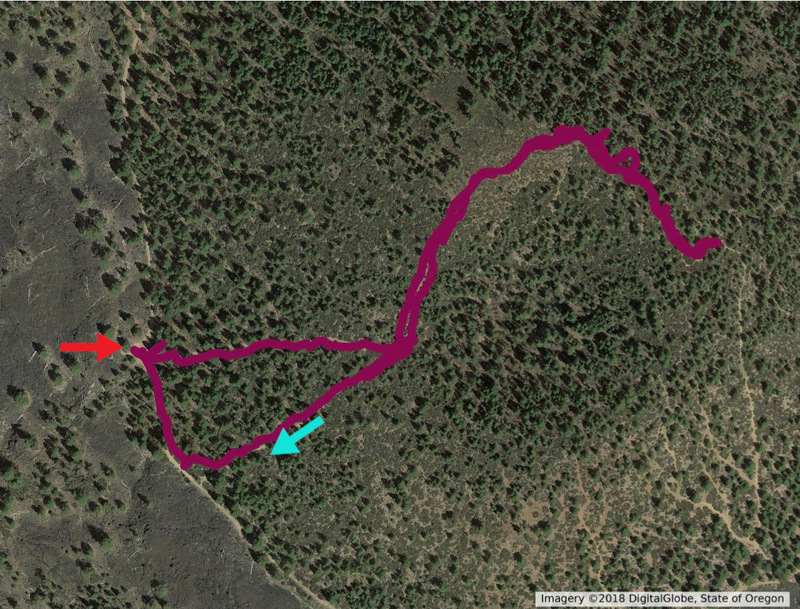 Looking at the area in a mapping program with a satellite view I spotted several open areas along Forest Service Roads, went on a reconnaissance drive to scope them out and found a good spot, a bit east of Sunriver, somewhat close to the Lava Cast Forest that worked for us both. 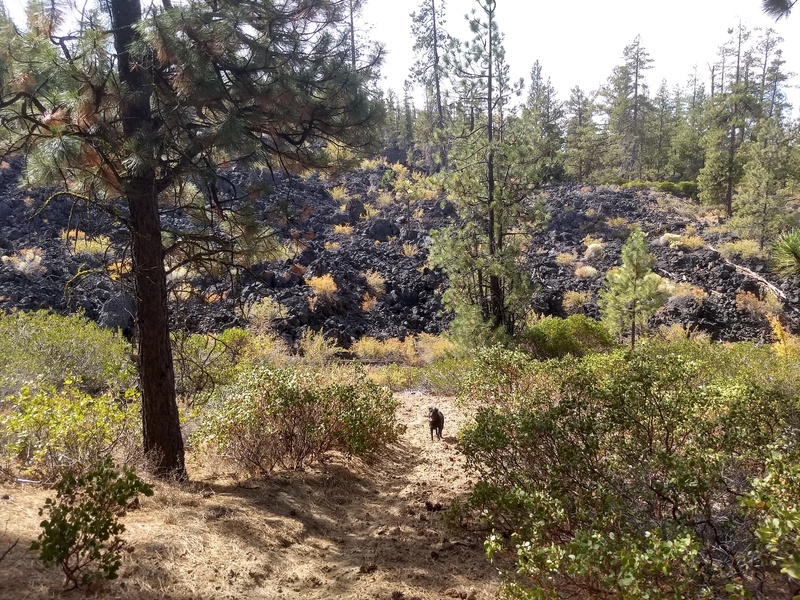 In between our trips to Lava Butte and the Lava Cast Forest we took several hikes out from our camping spot and every time came upon areas covered by lava flows from thousands of years ago. 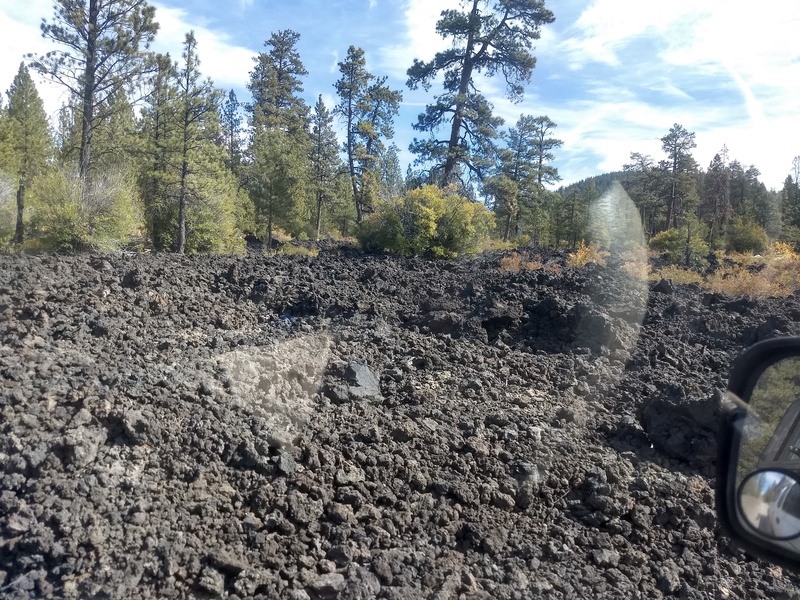 In our experience, if you come across a lava flow that means there is probably some geologic feature that belched out that lave somewhere nearby. Zooming out from our camp spot in a mapping app we spotted an (AFAIK) unnamed caldera east and a bit south of us and decided we would go check it out. 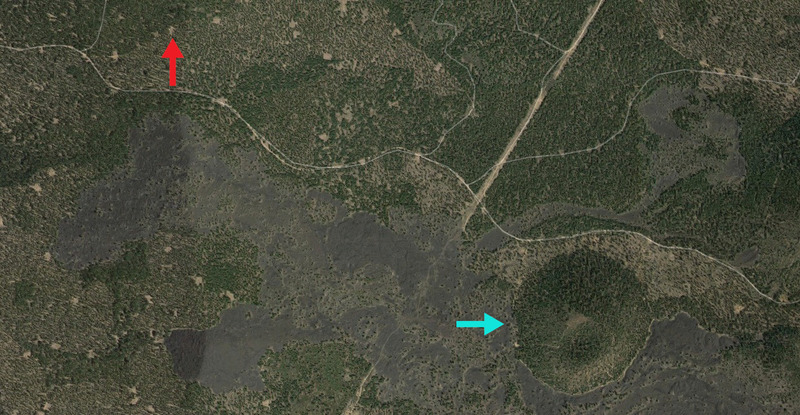 Red Arrow Is Our Campsite, Aqua Arrow Is The Caldera. Straight Road Is a Powerline Corridor. 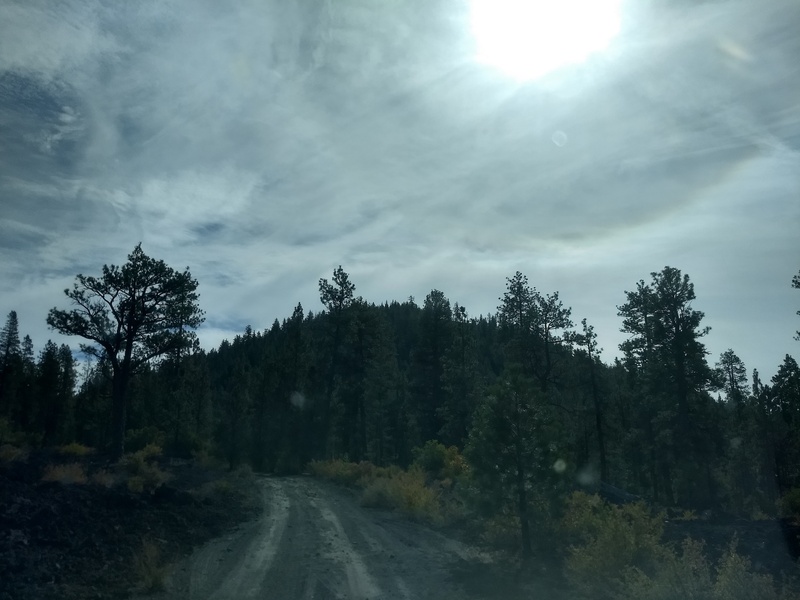 We drove out in the morning with a general idea of where the caldera was and quickly realized that many of the Forest Service roads on Google maps either didn’t exist (usually due to a forest fire or controlled burn recently) or took wildly different paths than what was shown. We did the dead reckoning thing and made our way in the general direction, several times coming across old lava flows of various heights. Eventually we rounded a corner and the caldera came into view towering above the surrounding forest. 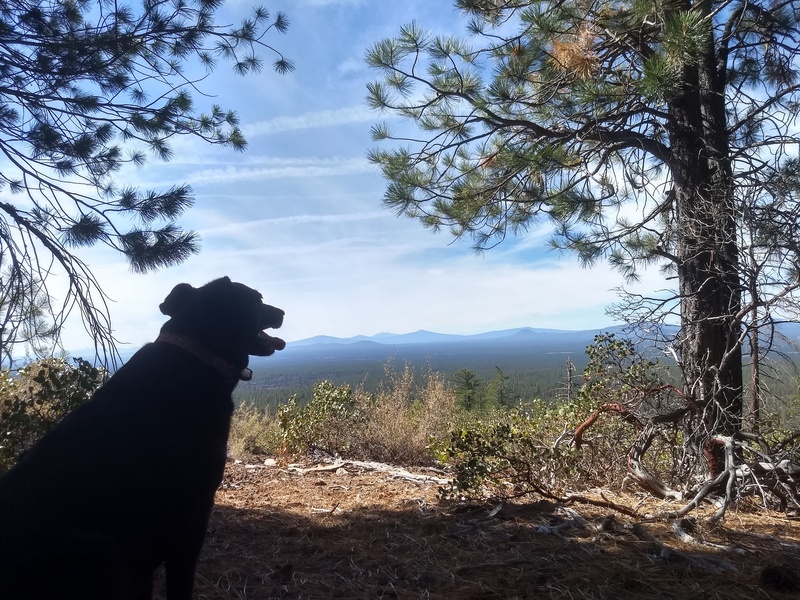 We circled the caldera on the barely existing, overgrown “road” cringing several times as some hardy shrub or small tree jumped out, attacking us unprovoked and made squealing sounds while pinstriping down one side or the other of the Tacoma. Luckily we have gotten over that long ago. We eventually found an area with room to park between the base of the caldera and a whole bunch of lava and took the opportunity to do a quick drone overview of our situation. 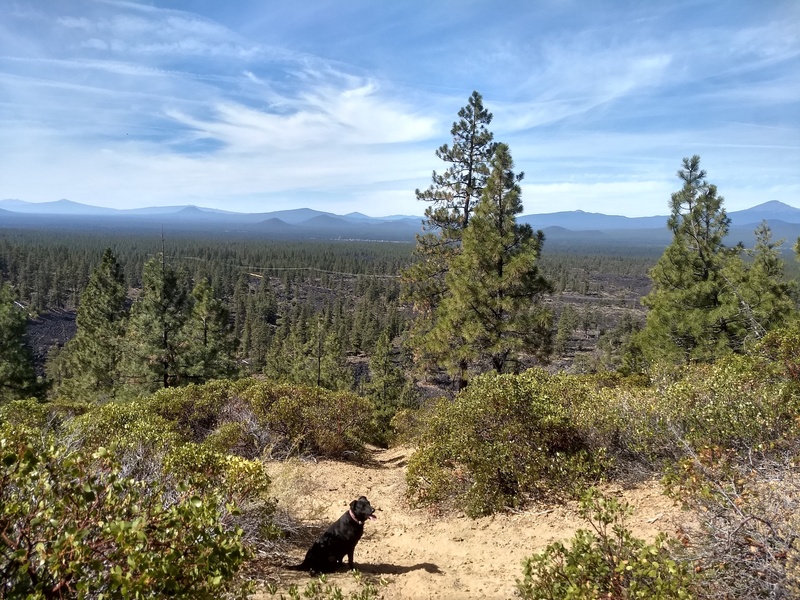 We put the drone away, pulled off the “road” onto a little clearing and took a quick look around to gauge our options for hiking up the side of the caldera. Close to our parking spot we spied an obvious but steep path leading up the side. It had signs of tire tracks and for a moment we thought we might try to take the Tacoma up it. Once on foot the composition of the trail revealed itself to be deep dirt covering rounded, golf ball sized pieces of lava rock. This meant for every two steps up you rolled back one step on the rock balls. That slick composition combined with the steep slope meant I had to crawl up on all fours and Willow was working extra hard as well. 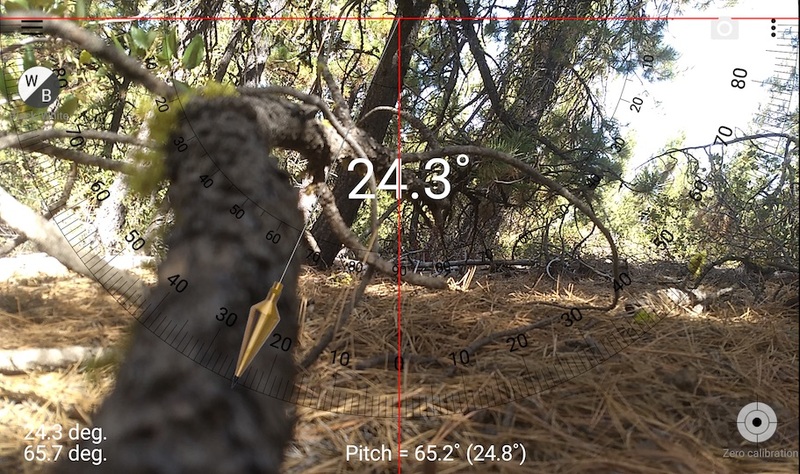 Wanting to know what the angle of this grade was I put my phone on that log, parallel with it and took a reading with an app (Smart Tools) I have on my phone. 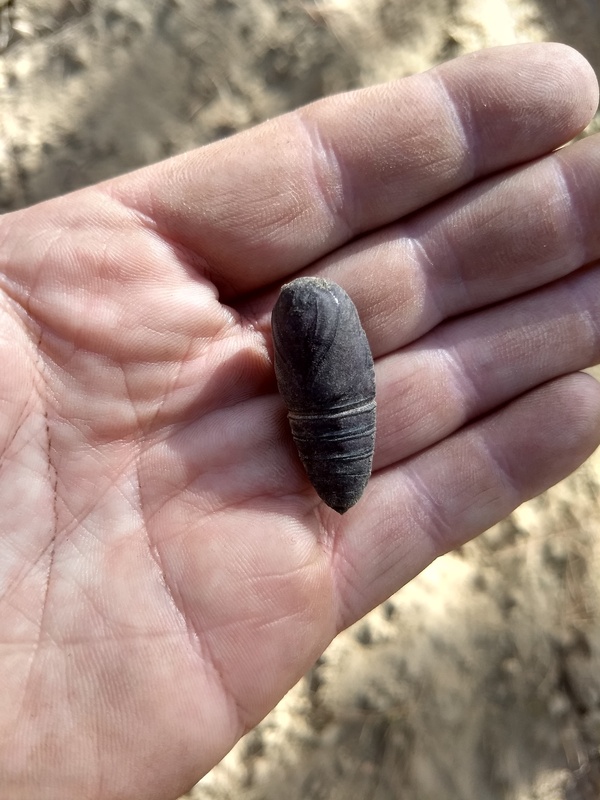 On the trek upwards we found several of these chrysalises just laying in the dirt. 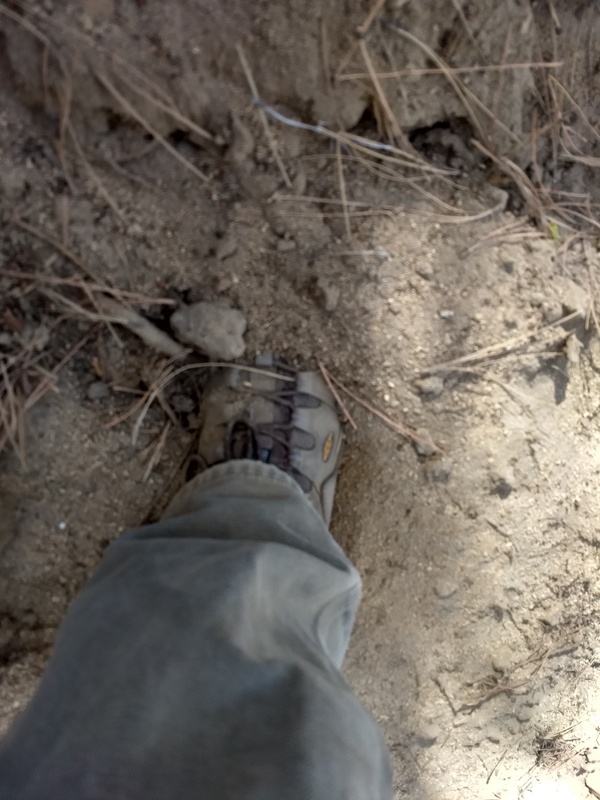 Not knowing the ideal spot for these to continue their metamorphosis but assuming that in the dirt, in the middle of a trail is probably not optimal we moved each into little crevasses on decomposing logs along the trail and hoped for the best. The grade was hard but only took about 20 minutes until we reached a flat opening with a pretty impressive view back down into the valley below the caldera. We found a little shady spot in some tree about 50 meters above the spot in that picture and took a well-deserved break. After our quick, 5 minute break we continued on up the path the last 100 meters or so to the seeming top of the caldera. 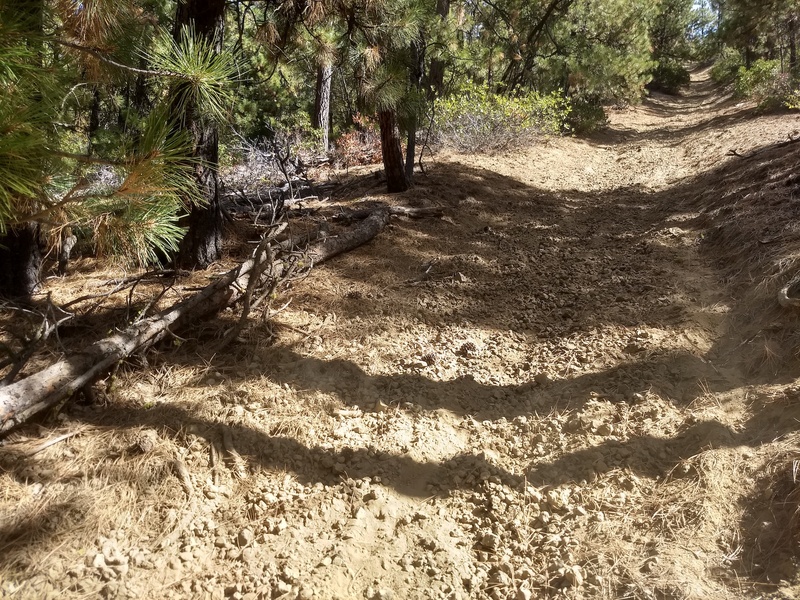 It was thick with brush and small trees which made our exploration around the rim somewhat difficult. Surprisingly and delightfully we only found one piece of litter up at the top, a crushed aluminum can, which we picked up and took with us for proper disposal later. Once we had finished exploring at the top we started back down but took a different path we had found which was a bit less steep than our way up. 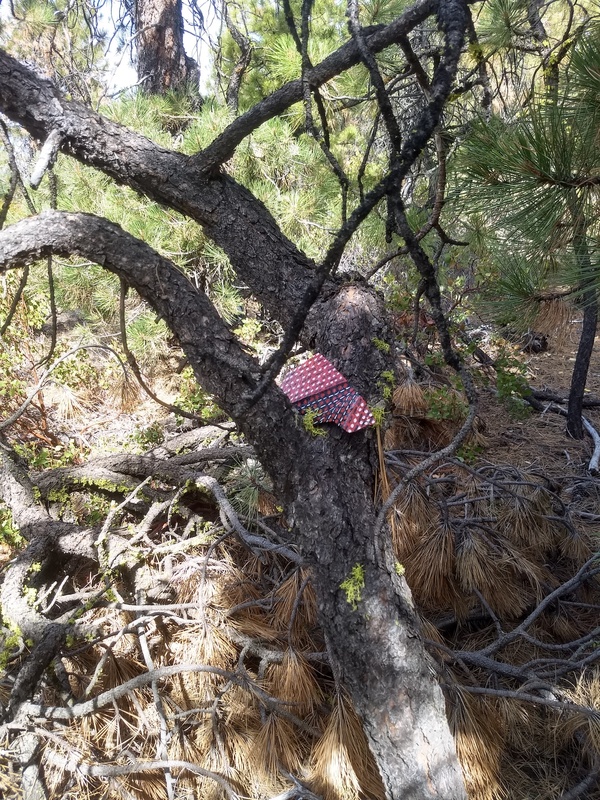 Before we left though we re-hid that painted rock we had found during our hike around the Lava Cast Forest. Part way down we spotted the wooden remains of possibly a work bench (?) and wondered what purpose it might have served or what structure it might have been in several decades ago. 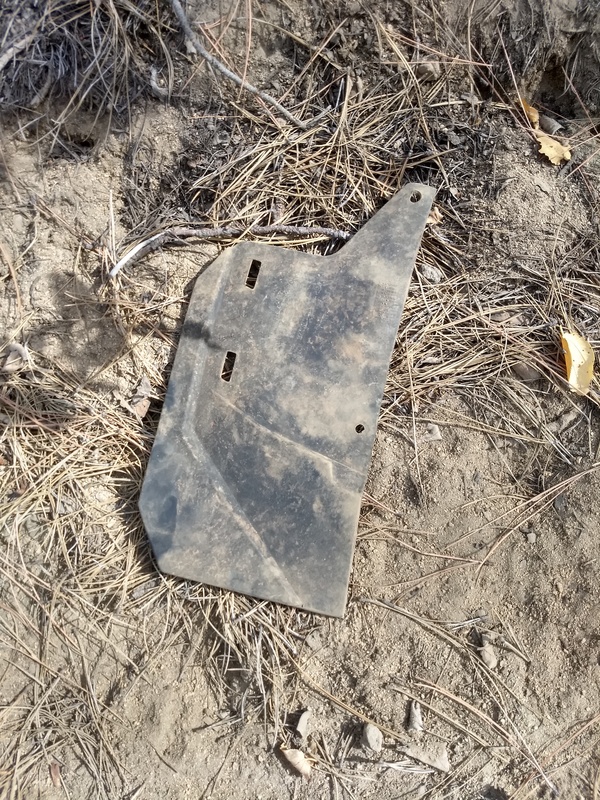 The only other piece of garbage we found on the hike was, I am guessing, a mud flap from an ATV which was probably not dropped and left behind on purpose so that is why we call it garbage instead of litter. 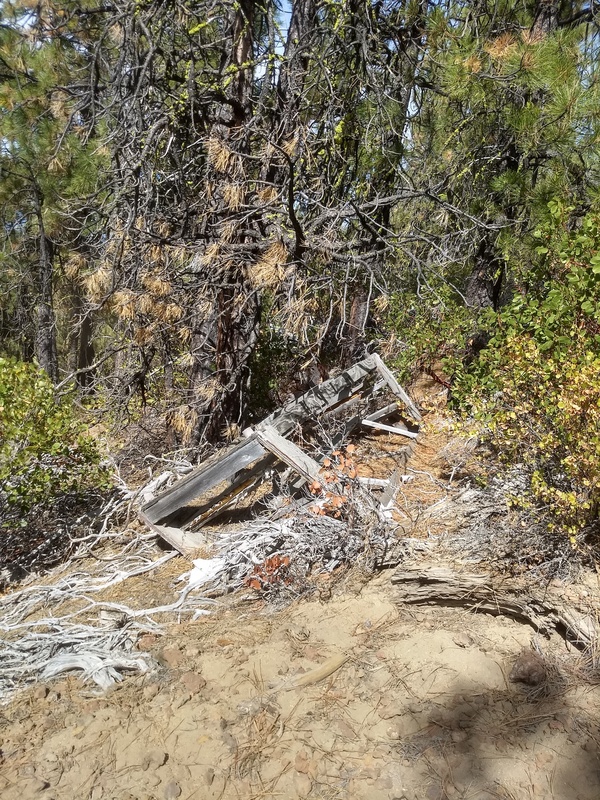 Both it and the aluminum can we found earlier were both disposed of properly, in Bend, later that week. Once we arrived back at the base of the caldera we were greeted by another massive wall of ancient lava. Since we came down in a different spot than we had departed we had to follow the base of the caldera back to the Tacoma about an 1/8th of a mile or less. All tolled the hike had only been a little over one mile and taken about 2 hours. I don’t know what our vertical gain was since the GPS tracking app I was using had a brain fart on that data point and said 50 feet…which is comPLETE and utter horse crap. Looking at some topo maps I see the base at about 4600 feet and the summit at around 5080 so that math makes our elevation gain approximately 480 feet. Doesn’t sound like much but my legs tell a different story. 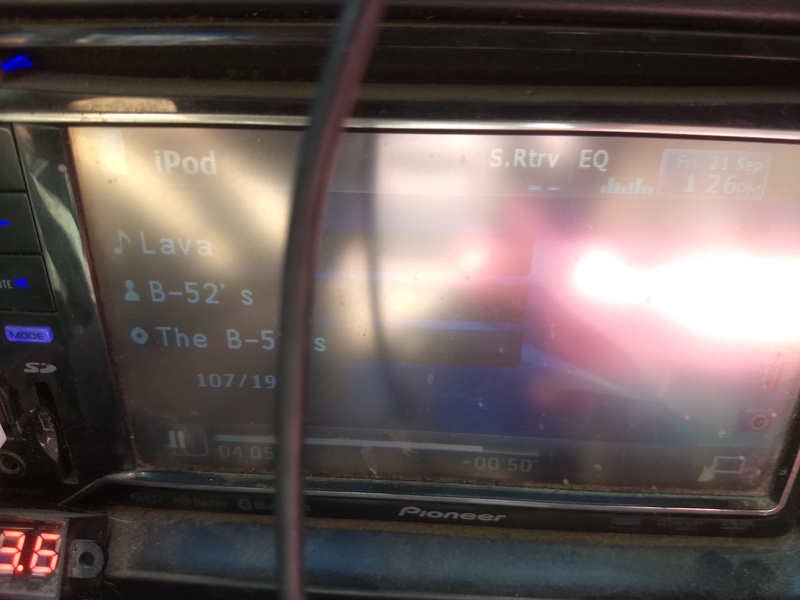 To put a nice, relevant end to the hike, as soon as we were both back in the Tacoma and I started her up the song that came on the stereo (via my old iPod Classic playing on random) was the B-52’s Lava. After looking at numerous online maps I still see no mention of any name for that caldera and so I propose calling it Chrysalis Caldera which has a nice alliterative ring to it. We don’t think the Forest Service will approve that but what do you think? Our wish for you is that you grab your hiking boots, get out there and replace the house dust with some lava dust!